Mods - Interior Discussion related to the looks of the interior of the HHR. During a junkyard visit today, my buddy (who owns an "09 LS 2.2) was able to score a mint interior rearview mirror from an LT. My buddy's mirror had lost some of the silvering and he wanted to replace it. $15 was a fair price, we thought. 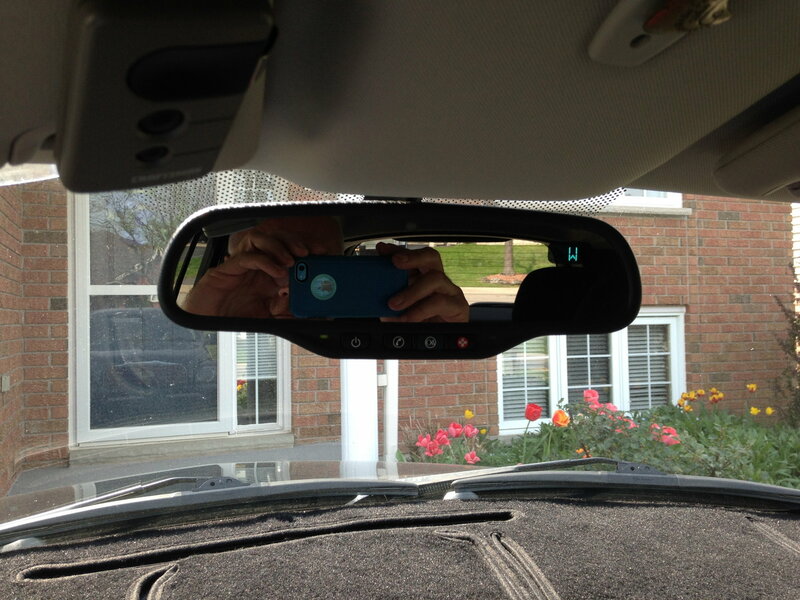 The new mirror comes with autodimming, a compass and an On Star. button, - his LS has none of those features. He will be pleased if the mirror just looks better than the old one, but I wonder if some of the new features are resident within the mirror itself, needing only switched 12v, or if interconnection into remote electronics is necessary. If so, he will be happy with reflective surface and ignore the nonfunctional parts; $15 was still a lot cheaper than a new LS mirror at the dealer. Yes, and the harness for the eleven pin mirror. Swap out auto dimming mirror?